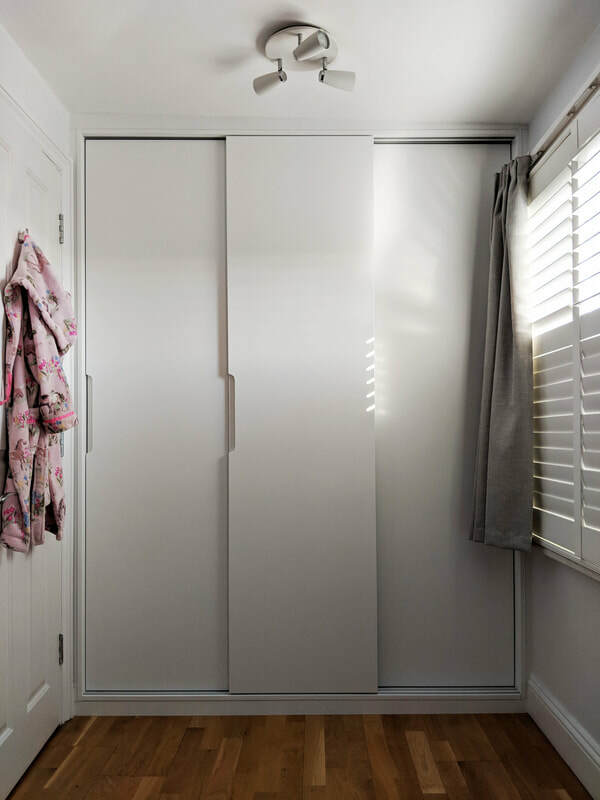 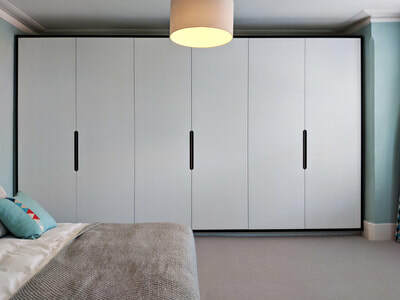 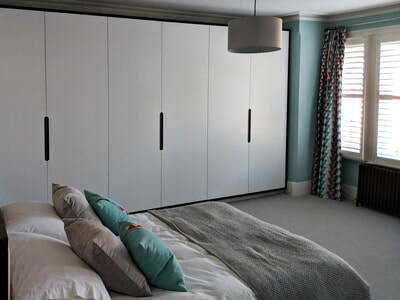 An Edwardian terraced house filled with gorgeous features, was fitted with these tall contemporary wardrobes. 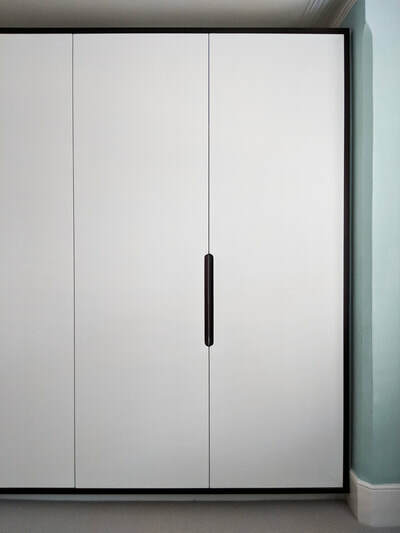 The cabinet colour and handle veneer, both work brilliantly with the bedroom furnishings. Our clients have definitely managed to compliment a beautiful traditional exterior with a modern interior. 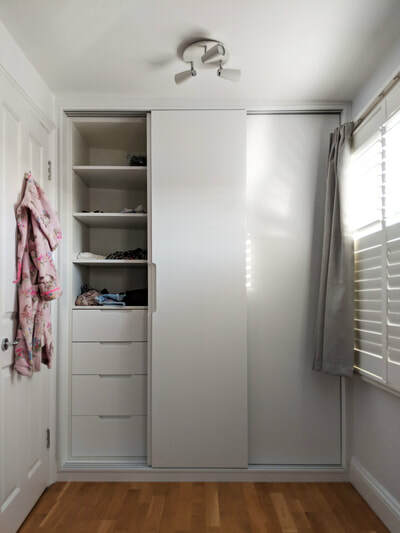 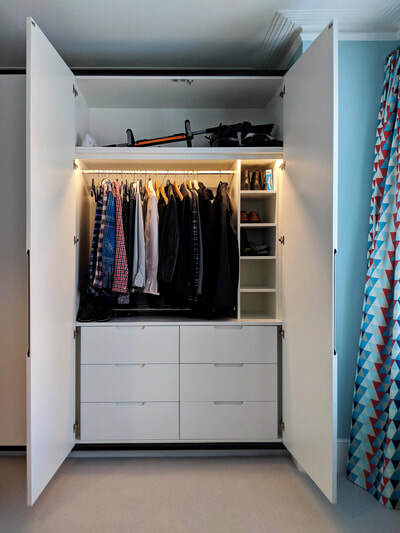 In addition to these, we hand built the childrens floor to ceiling wardrobes with sliding doors and a good amount of storage space.